It seems Mat Ryan has won the Premier League player of the month for October. Top effort and good to see him finding his feet after the Valencia stint. Brighton & Hove Albion goalkeeper Mathew Ryan has pipped Arsenal striker Pierre-Emerick Aubameyang to the October PFA Bristol Street Motors fans' player of the month award. Brad Jones has been sidelined for six weeks after a clash at a game. I’ve seen reports he was knocked out, which would be crazy. Berisha to Adelaide for sure. With Arzani out now and this being the final international break before Asian Cup, the squad announcement will more than likely be at least very close to the final squad you’d think. The reserve CBs, right back(s) and backup left back are up in the air imo. Another deep midfielder with Jedi gone and Dougall injured. (Jeggo?) One wide midfielder from the glut we have will miss out you’d think (maybe Petratos) and if Arnie takes 2 or 3 out and out strikers. Wright hasnt played a minute - otherwise i think you’re pretty much on. Yeah thats right. Was thinking he was injured when I wrote that. Probably then means Amini/O’Neill/Antonis/Brillante/in form midfielder. Theres 3 spots up for grabs. Though couldn’t help chuckle when he called for the stretcher. An absolute must for a player who went off on a stretcher for cramp when at Melb City. I thought Amini’s last game for us was pretty good and he deserves a spot again. Where’s Ibini at these days? Is he getting any game time? Any chance of a loan back to us in Jan? Plays in the UAE now and seems to be contracted until June. Sainsbury 92nd minute own goal gives Spurs a 2-1 win over PSV. No doubt until Ibini randomly gets sacked as what happens to a lot of foreigners over there. Mabil scored two and got two assists last night in a 5-0 win. Amazing effort. His form has been absolutely outstanding thus far this season. Great to see him really kicking on. Kewell has been sacked by Notts after 10 weeks. Thats harsh. 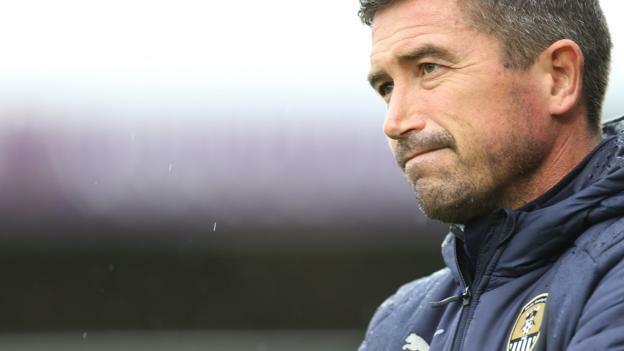 Harry Kewell is sacked by Notts County 10 weeks after being appointed as manager of the League Two side. Called he’d be sacked before Xmas… last year. Probably sacked prematurely, as was his predecessor. Exiting two managers by mid November is not a good reflection on the club.